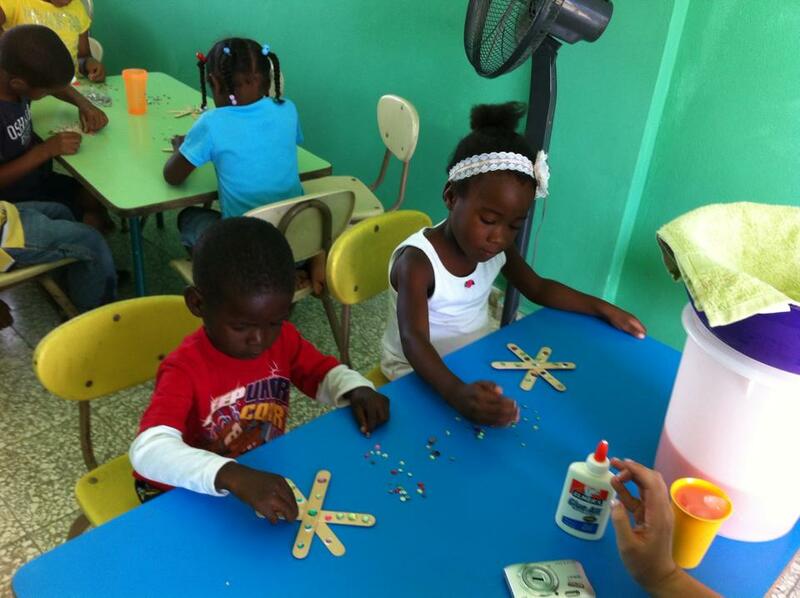 Our Preschool and Child Development Center is located in El Chivo, along the border of Haiti and the Dominican Republic. The abandoned building was once a Ministry of Education public school. We renovated the interior and exterior (a two year long process!) and are now open for the standard school year! This school provides a pre-school education focusing on Christian values to ‘at risk’ children ages 2-5 years old. Our aim is to provide a head start for these little ones by igniting a passion for learning, providing well balanced meals and laying the foundation for educational success. After getting to know many families that had experienced severe malnutrition and it's devastating effects, we came together to meet the needs head on. Our Preschool and Child Development Center is educational and nutritional in nature, providing the foundation for future educational success AND fulfilling the nutritional needs of today. Every child receives breakfast and lunch during the course of the school day.